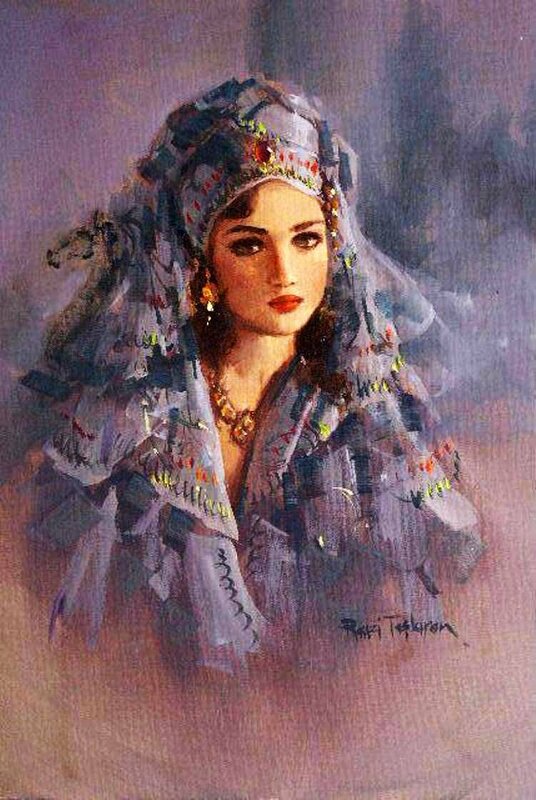 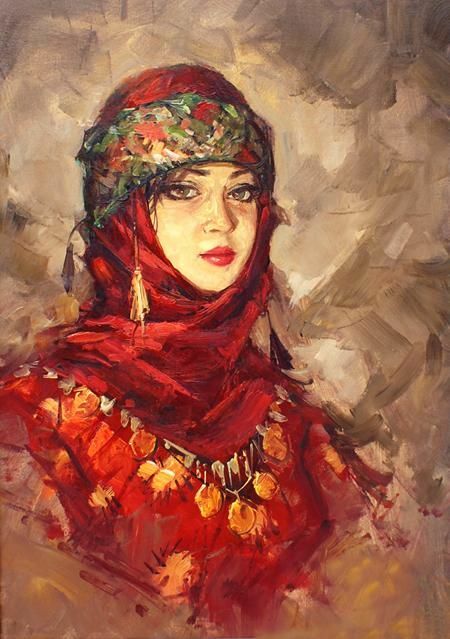 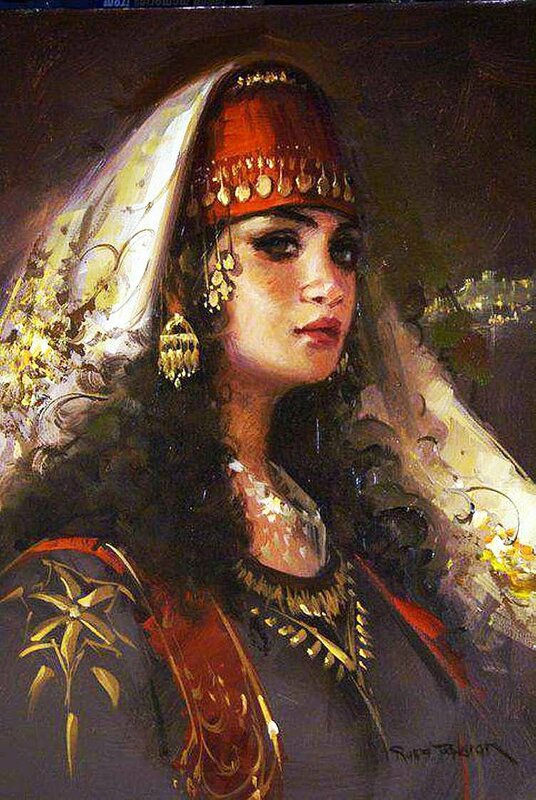 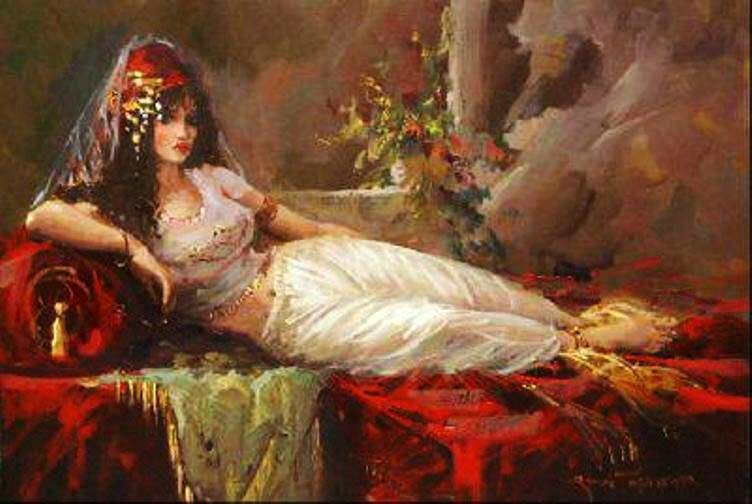 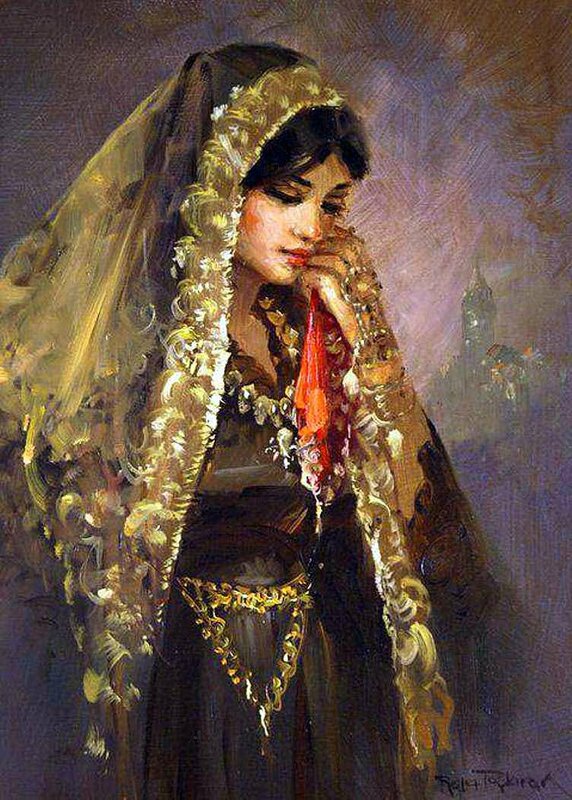 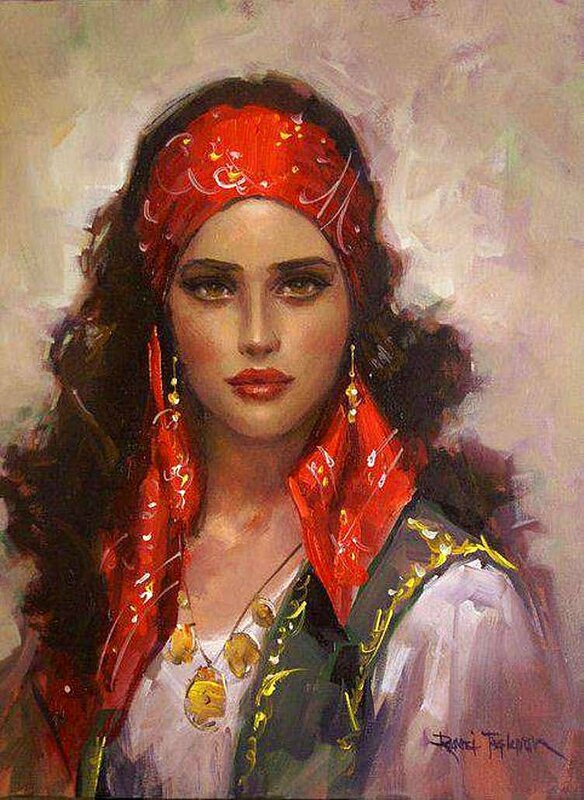 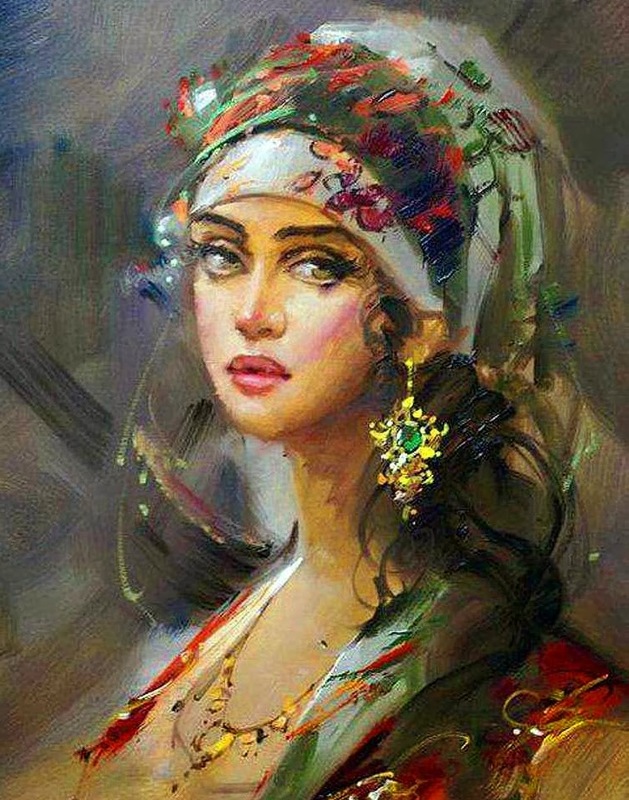 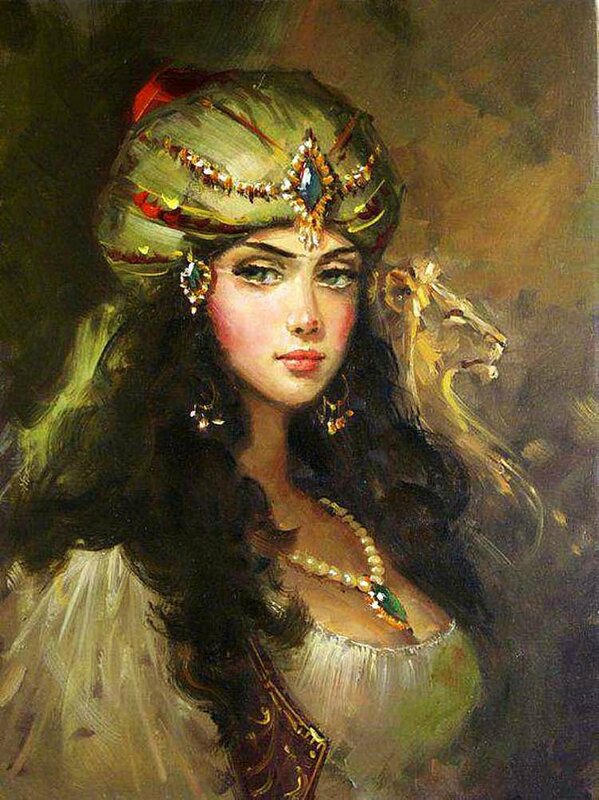 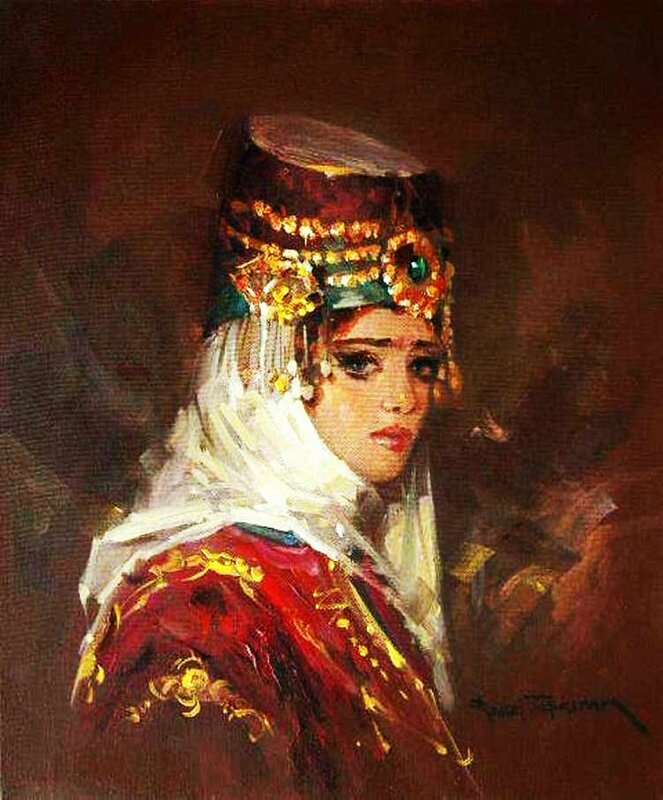 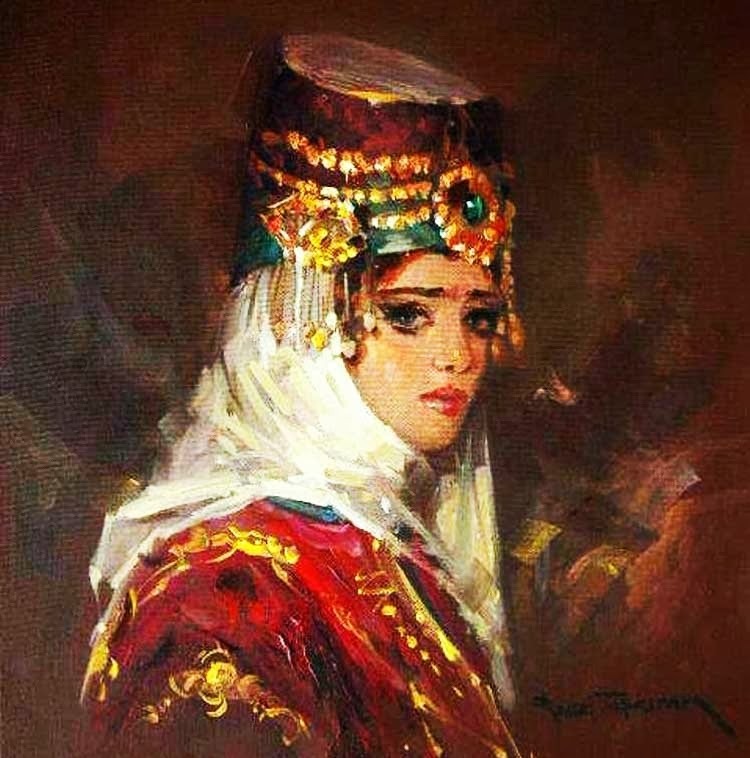 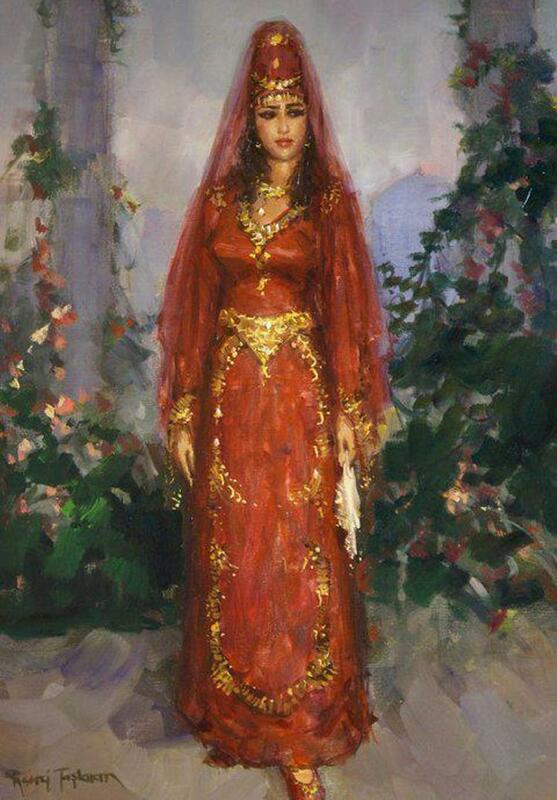 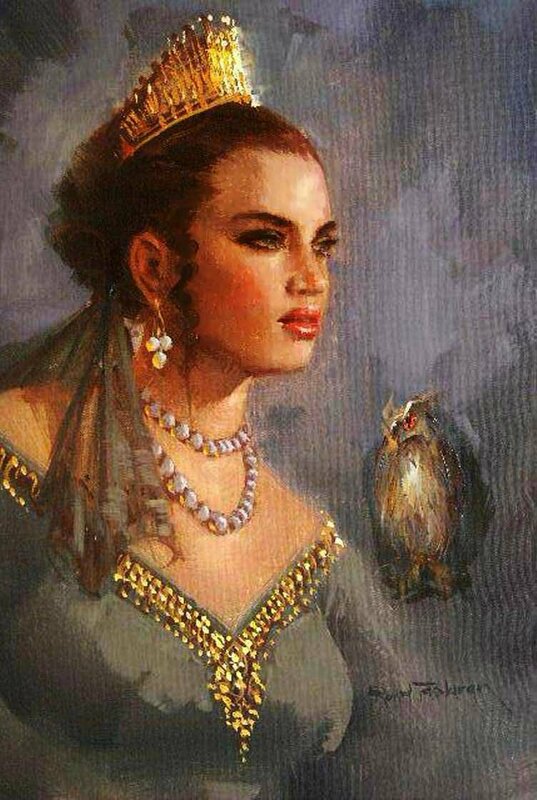 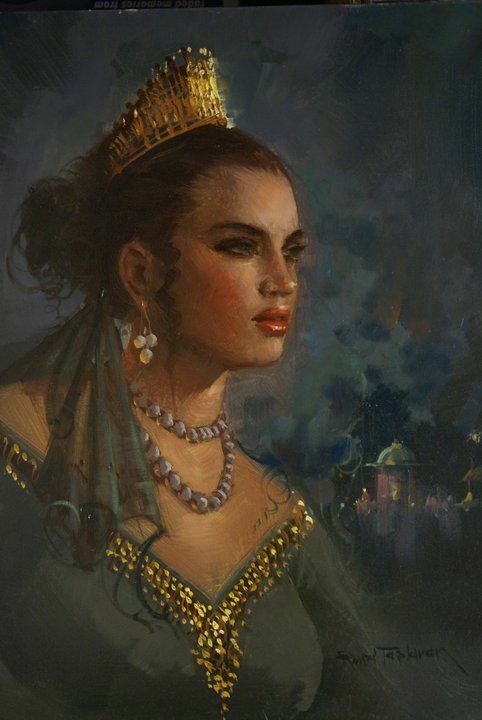 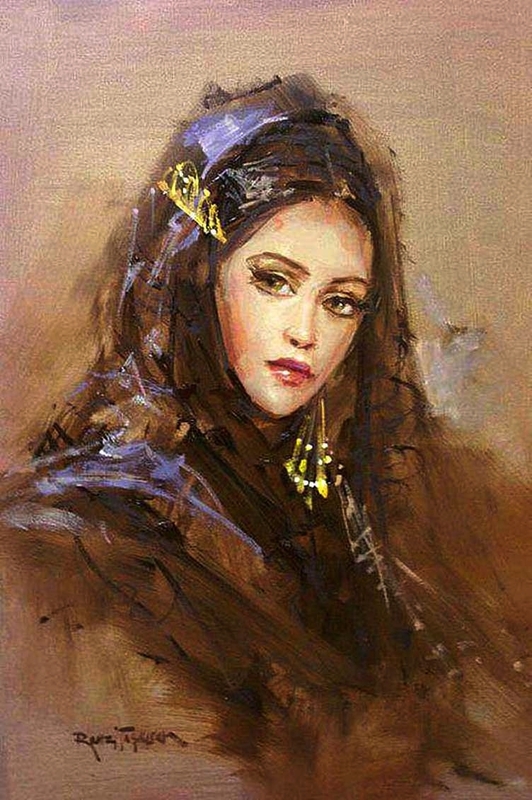 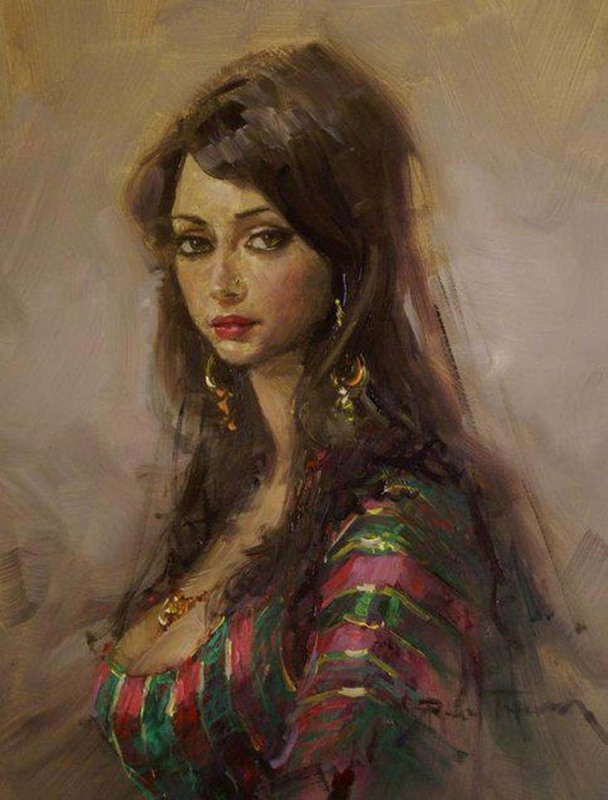 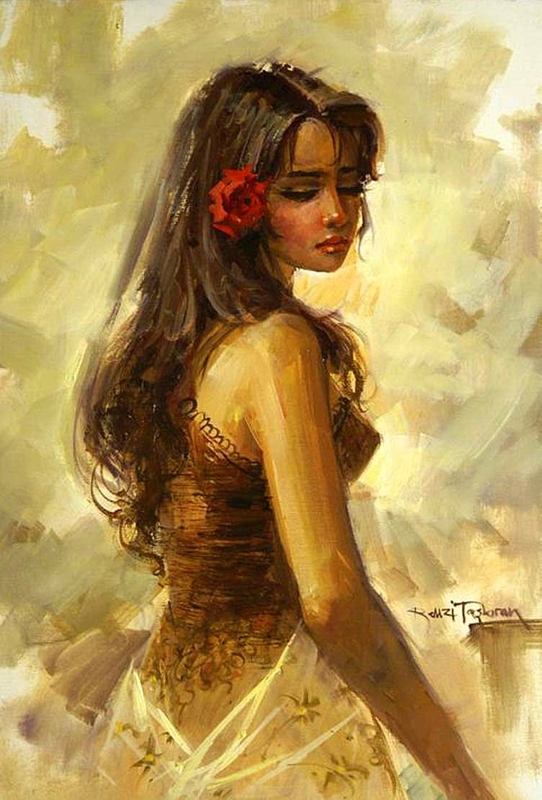 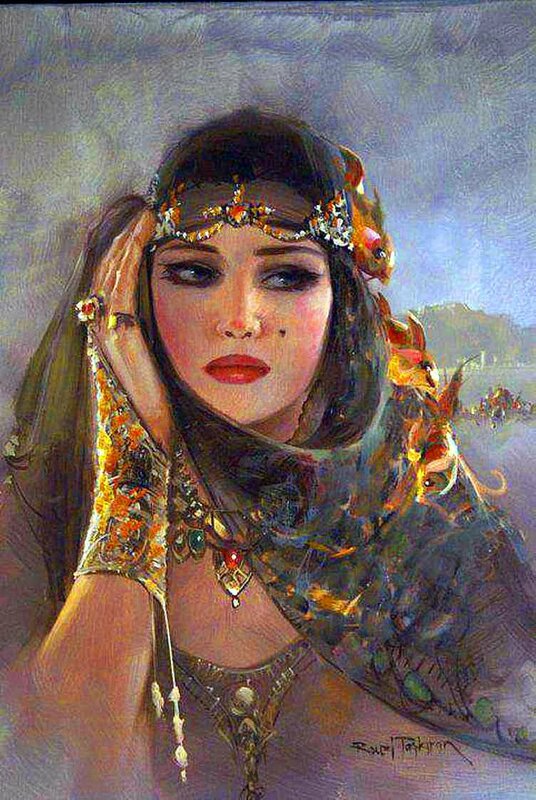 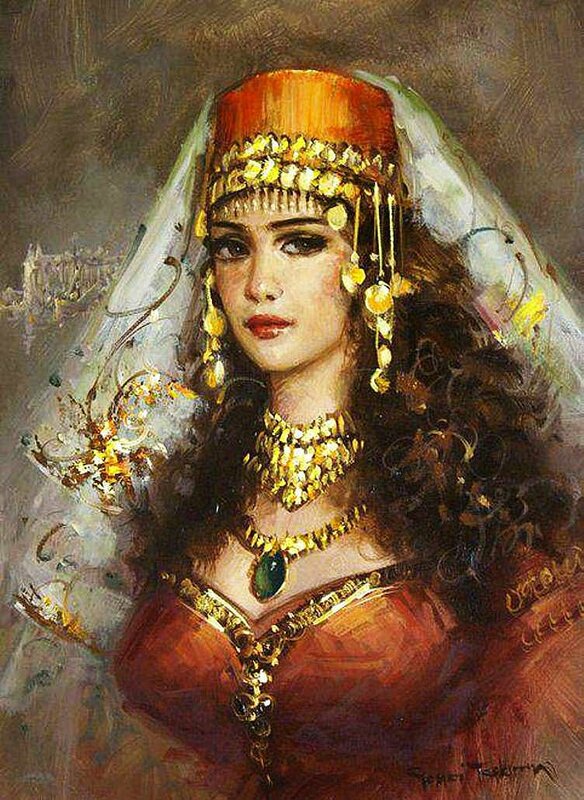 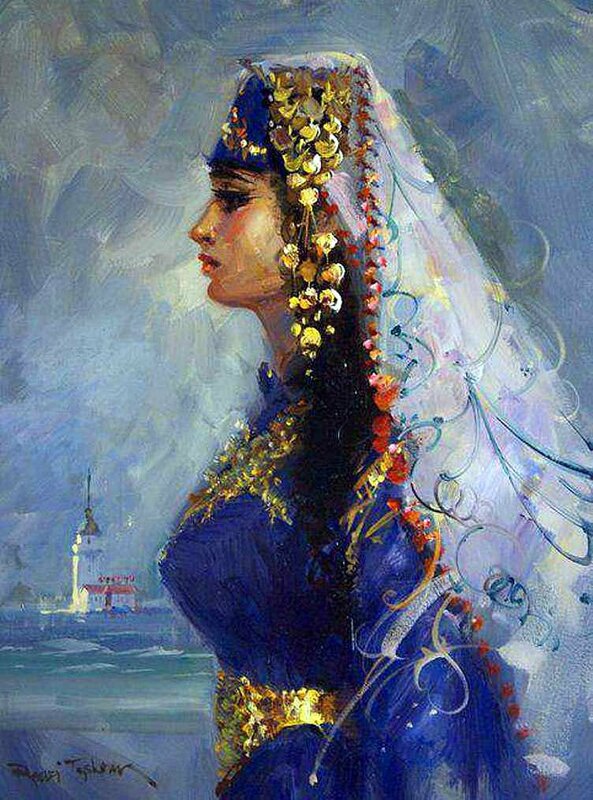 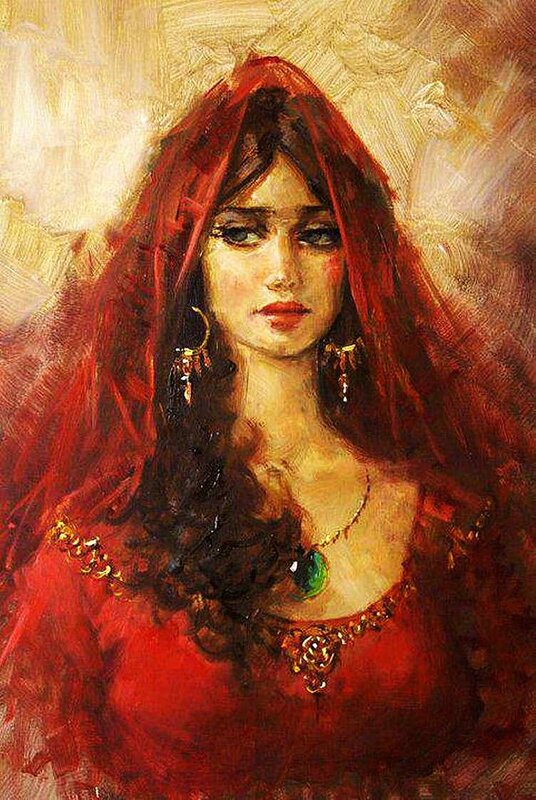 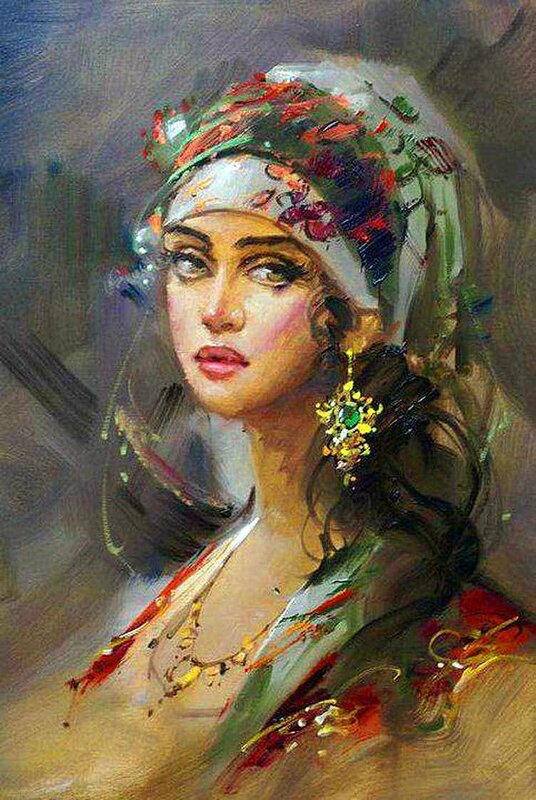 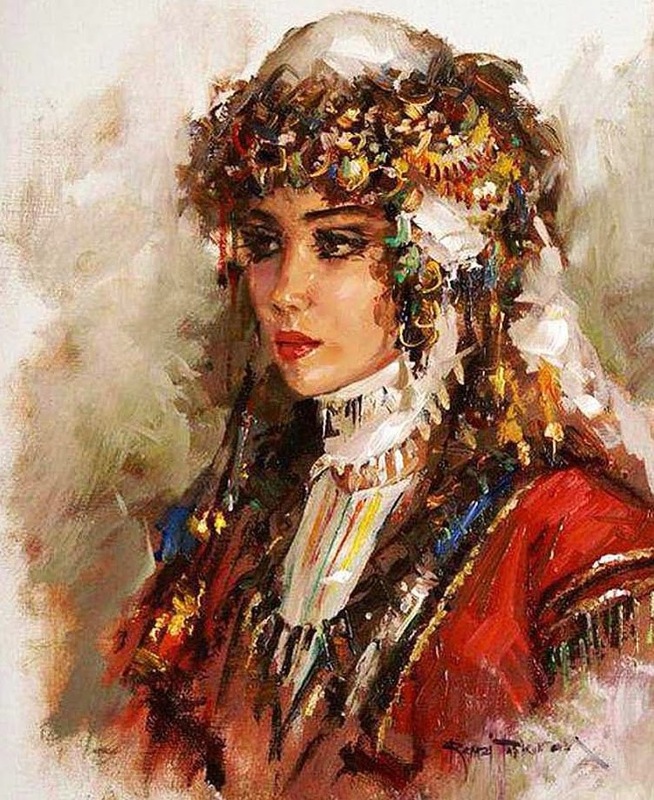 Female beauty is the main inspiration for prominent Turkish painter Ramzi Taskiran (Remzi Taşkıran). 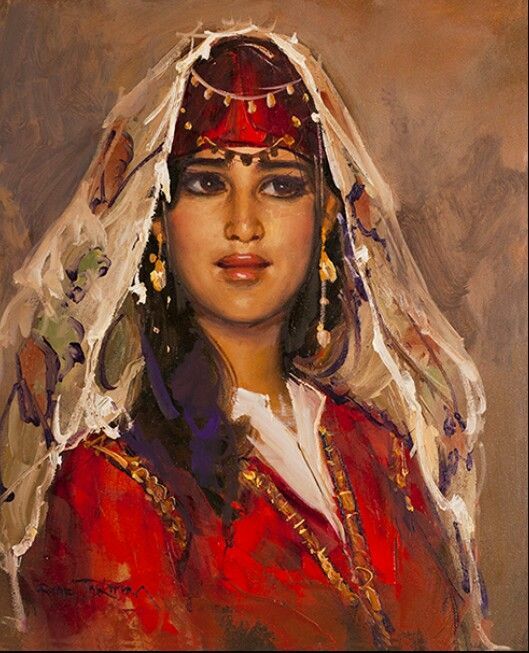 The artist was born in 1961 in the city of Adiyaman, Turkey. 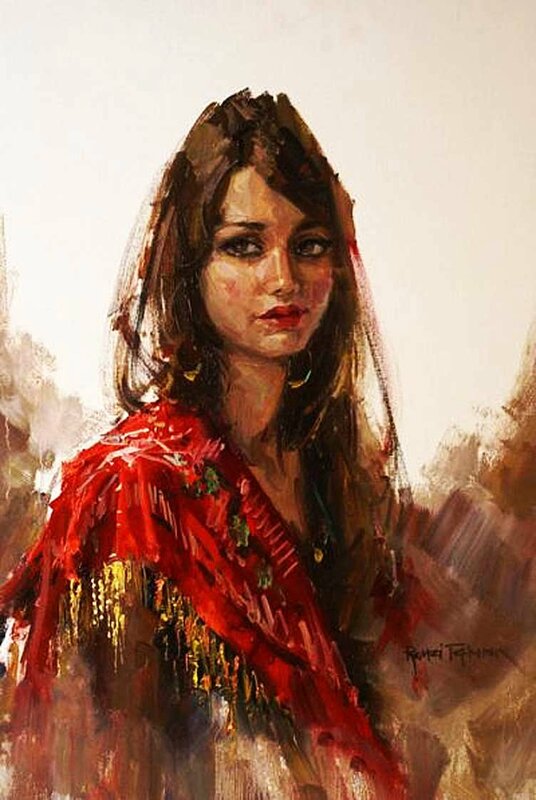 Ramzi Taskiran got his art education in high school of painting in Istanbul. 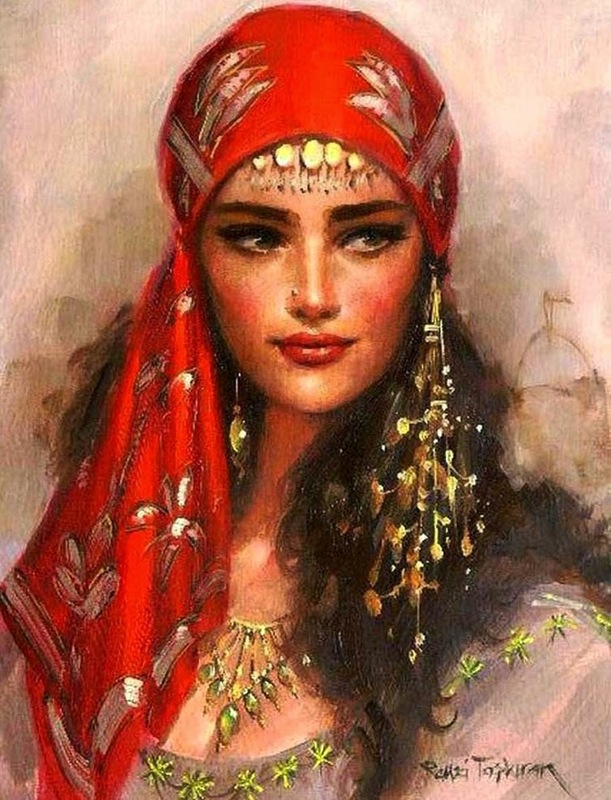 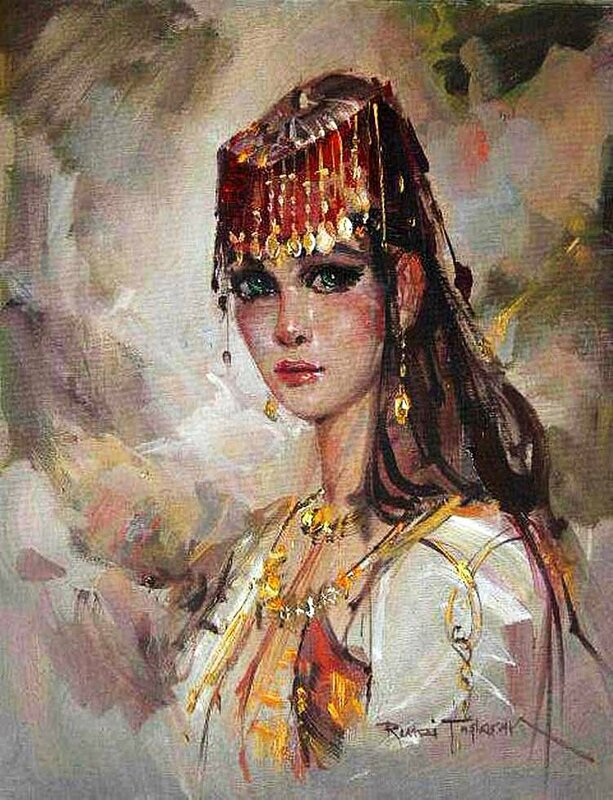 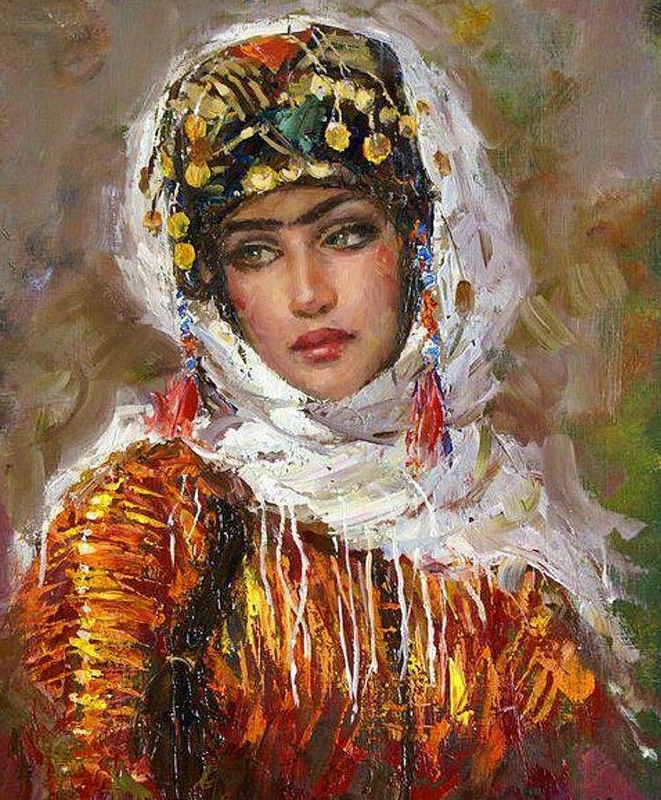 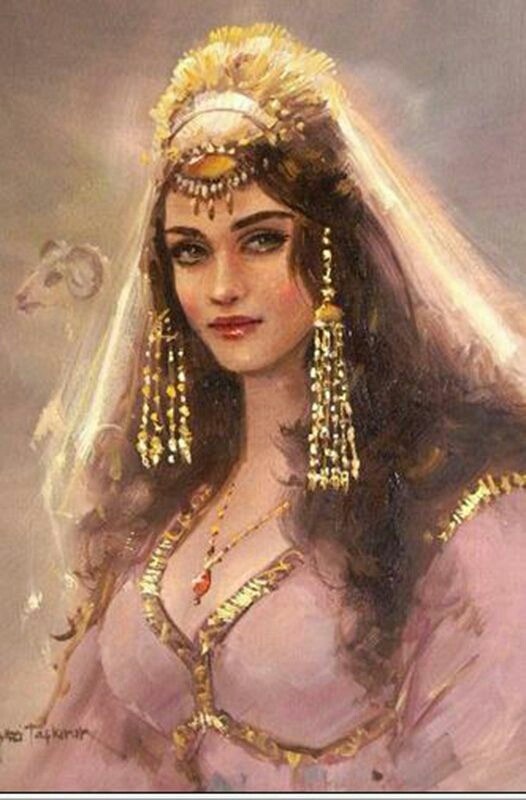 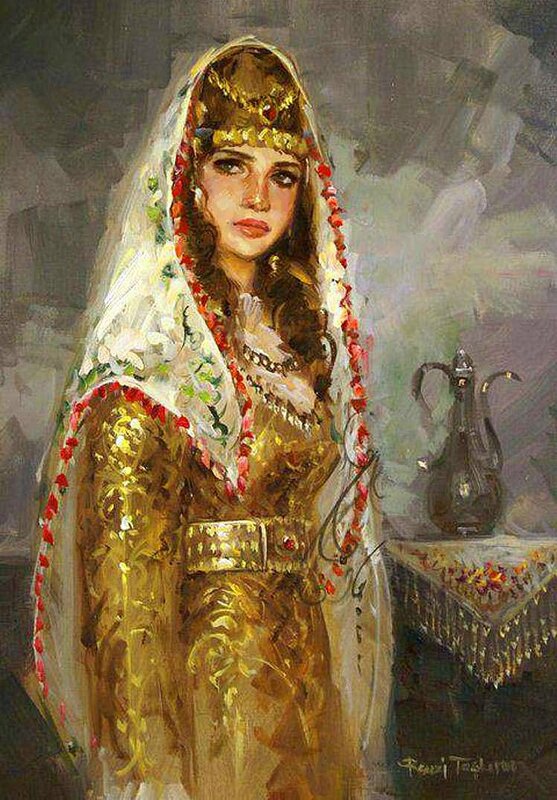 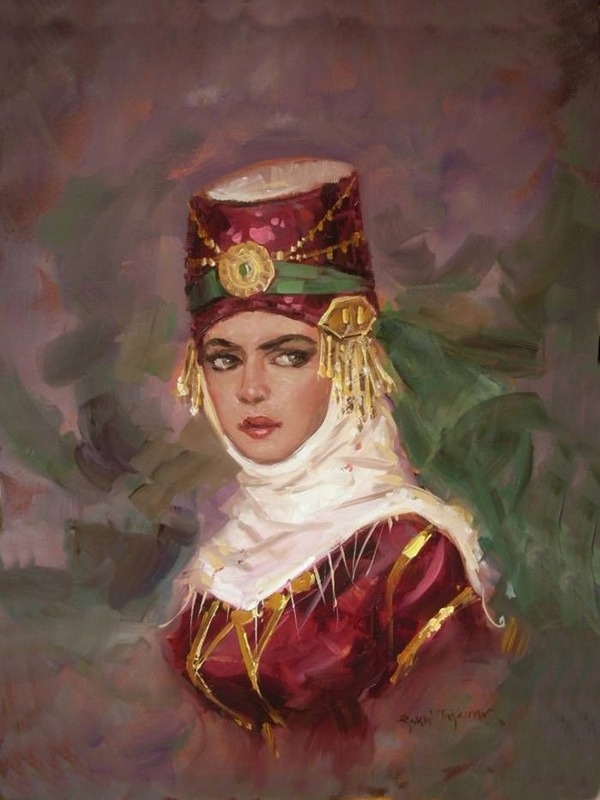 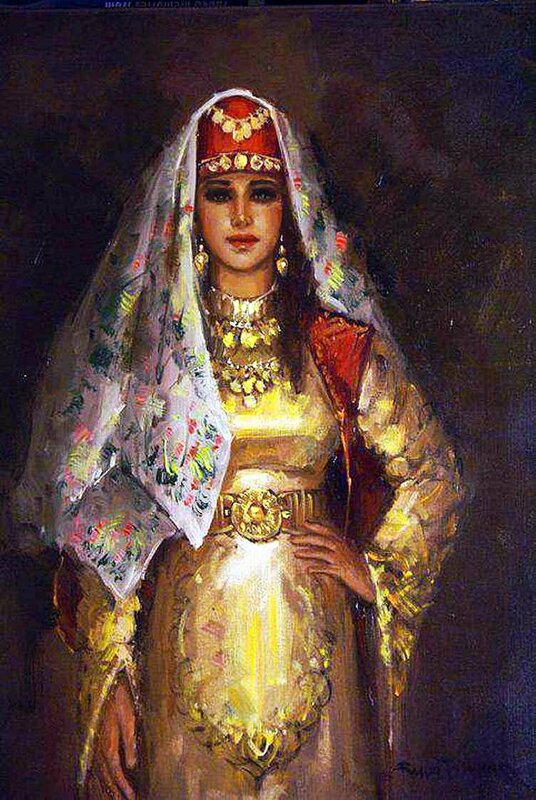 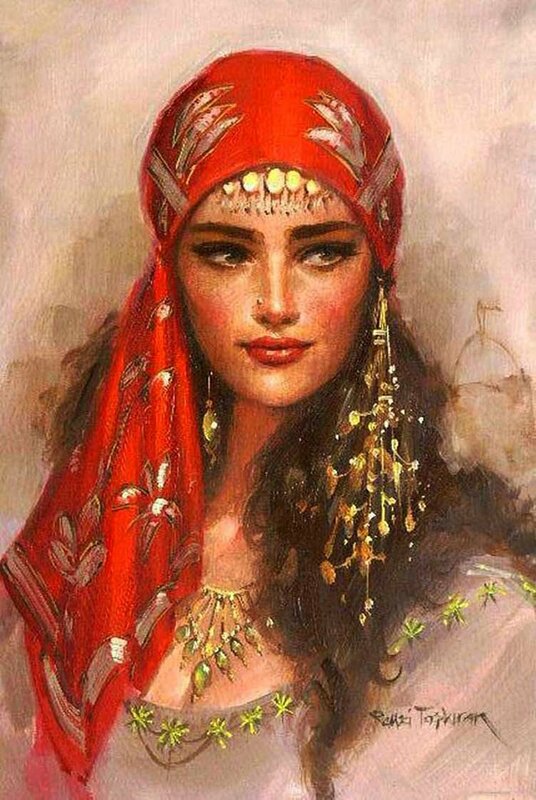 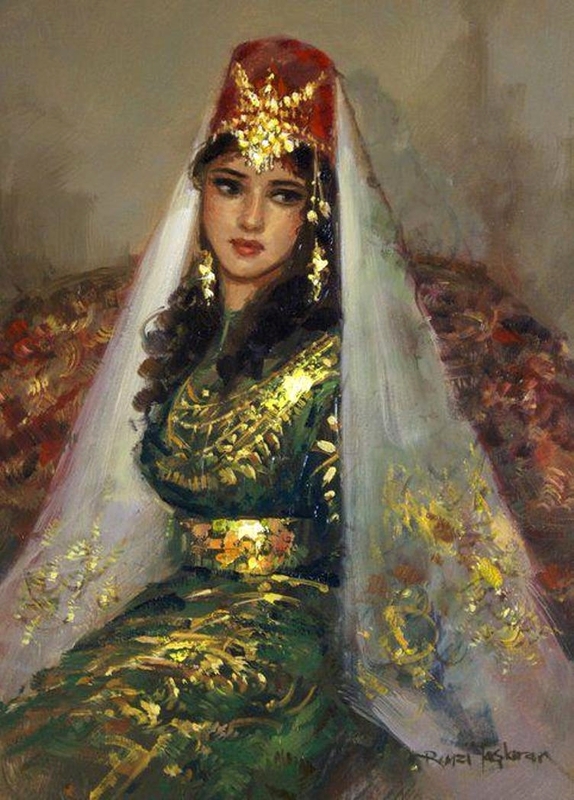 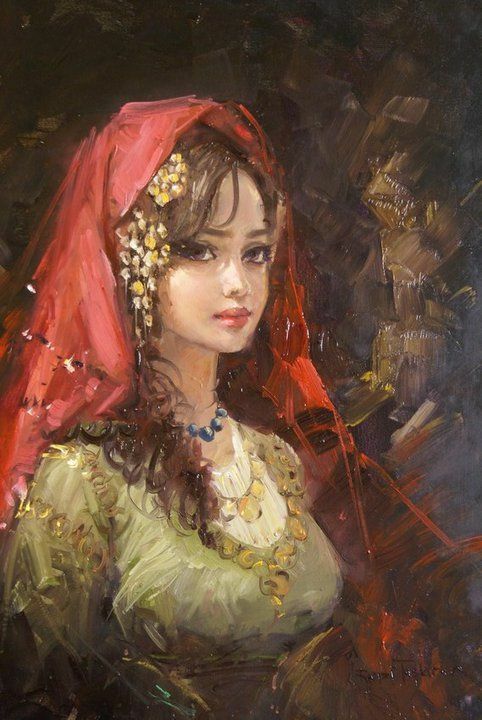 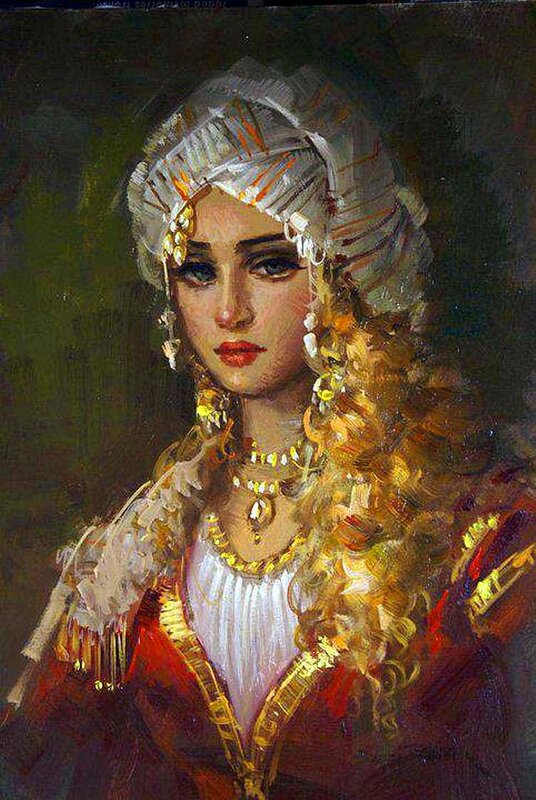 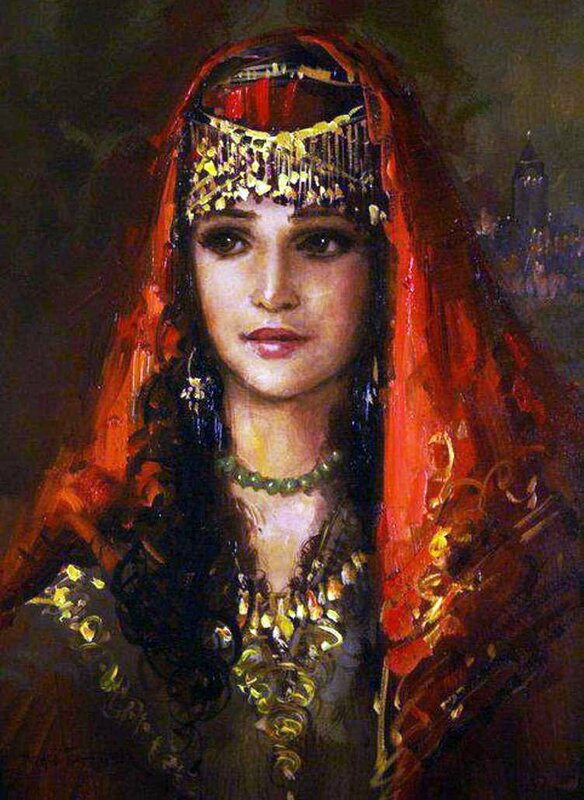 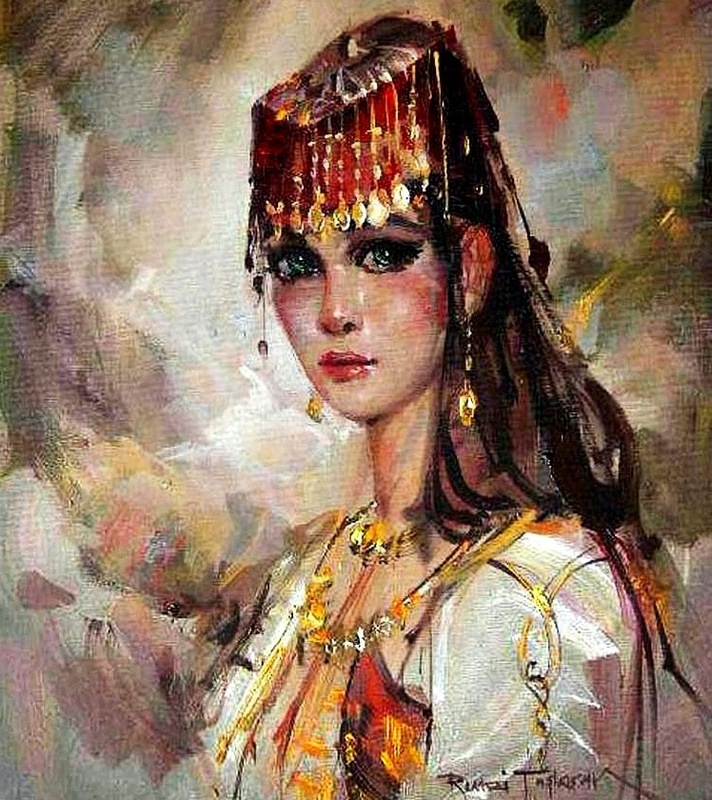 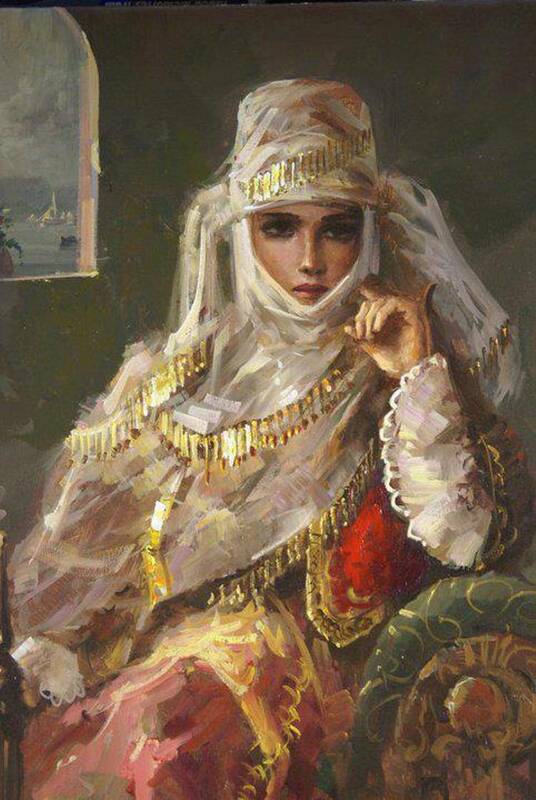 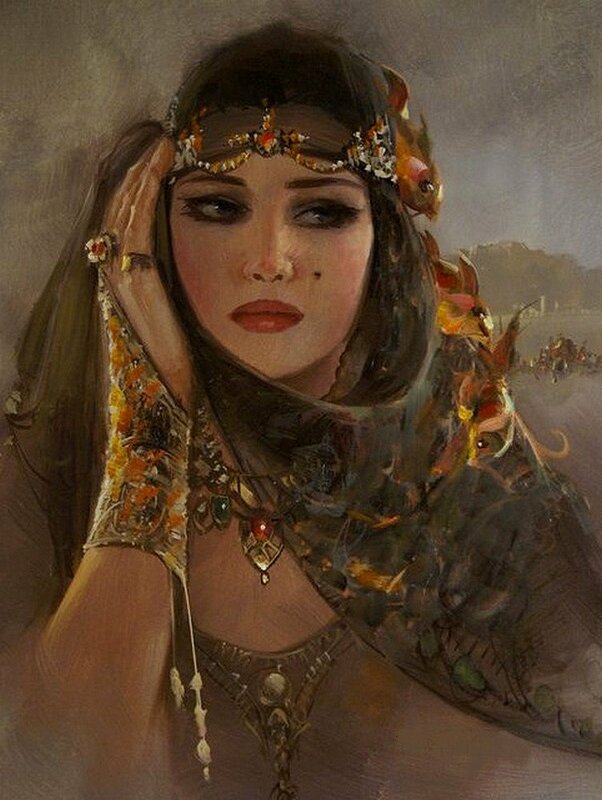 His portraits of beautiful oriental women in the folk costumes and ornaments that shine gold, are very charming. 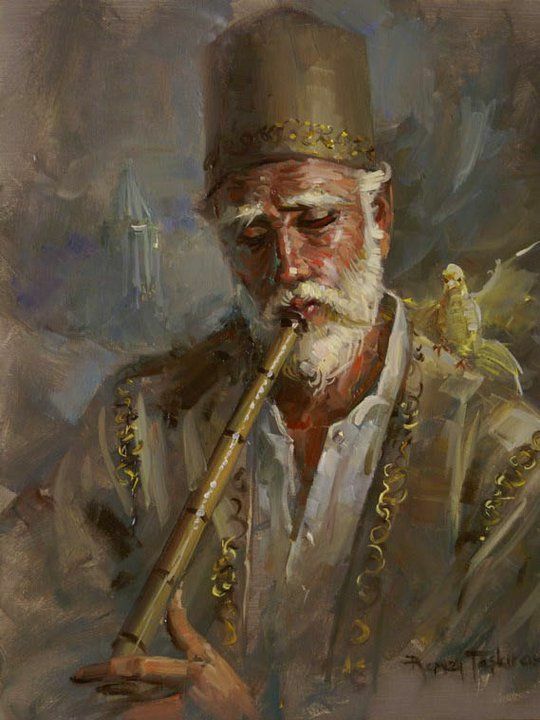 The collection of the talented artist also includes picturesque paintings of landscapes, people, and life of Istanbul.